CIRCLES: An Implementation Guide includes and indepth explanation of the program and supplemental materials to implement it. Communicating Interagency Relationships and Collaborative Linkages for Exceptional Students (CIRCLES) is a multi-level intervention that includes interagency collaboration and teaming as a key component to ensure positive post school outcomes for students with disabilities. The CIRCLES Project is funded through a grant from the Institute for Educational Sciences (IES). 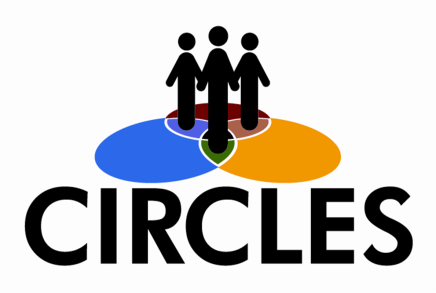 CIRCLES involves three levels of interagency collaboration: (a) The community-level team provides administrative leadership for the array of transition services offered and assists in finding solutions for problems that may arise in service delivery. (b) The school-level team provides each student with access to an array of representatives from community agencies that may provide services to the student after graduation. (c) The individual-level team writes the IEP including the transition component. Although post-school outcomes for students with disabilities have improved in the past 10 years, students with disabilities still consistently experience poor outcomes in the areas of education, employment, and independent living when compared to their peers without disabilities. 48 high schools in North Carolina will participate in the study. 24 will receive training and support in implementing CIRCLES in year one and will serve as intervention schools. The remaining 24 will continue business as usual until, serving as control schools until year four, when they will also receive training and support to implement the CIRCLES intervention.